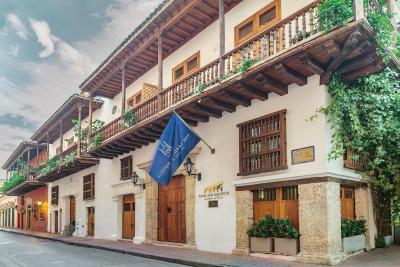 Lock in a great price for Hotel Casa San Agustin – rated 9.7 by recent guests! This place can only be described in one word: AMAZING!!! The hotel and its architecture are just fantastic. You truly wouldn’t want to leave the hotel. They are so detailed oriented that you’d be amazed even by the wide selection they have for pillows. Yes, I said pillows! 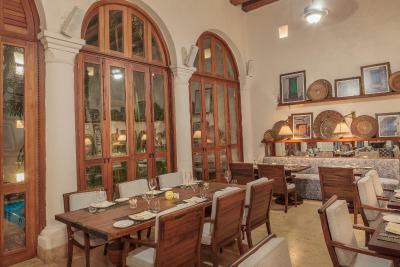 In addition to the fantastic facilities and the wonderful staff, Casa San Agustín has also an amazing restaurant called “Alma”. 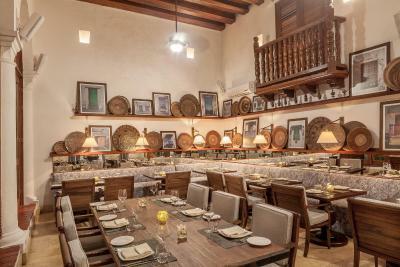 This one is for sure among the too 3 restaurants in Cartagena. So make sure you try it!! Wonderful breakfast, top quality food and service! Beautiful, luxurious ambiance and setting. Among all friendly, attentive reception staff, Eliza stands out in exceptional service and providing us accurate, very useful information. The staff were fantastic - we were traveling with our 11month old baby and everyone took fantastic care of her (despite her many noisy messes) - in particular Katherine, the hotel’s onsite nanny, who very professionally cared for our baby for our entire stay. It made our holiday! Loved the entire property. 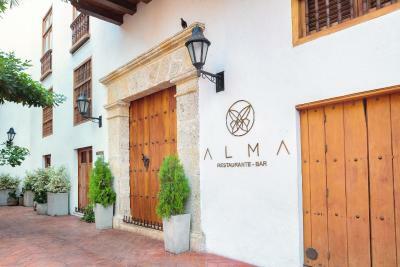 Food at Alma was excellent - the pool was enjoyable and our room was beautiful! Right in the center of the walled city, the hotel is perfectly situated. 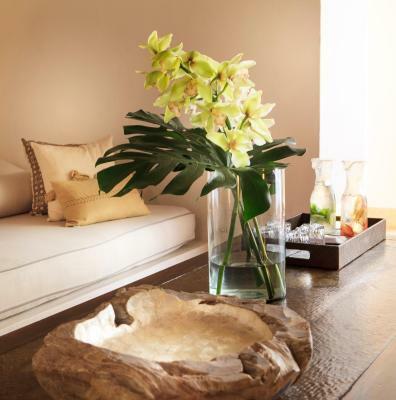 From the moment we entered the property, we felt welcome and pampered. 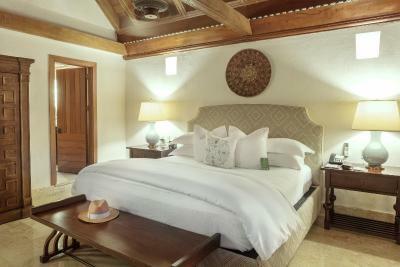 The room was a quiet retreat - spacious and well appointed. 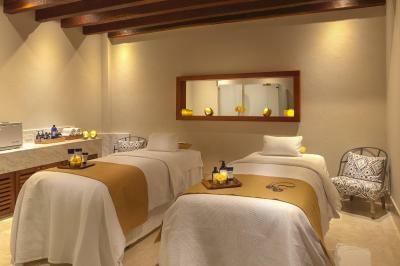 The staff at the Casa San Augustin take pride in their jobs and go out of their way to insure the most memorable stay. We would return in a heartbeat! The STAFF, particularly Eduardo (front door), Yuly (breakfast hostess), and Elena (manager who arranged a more appropriate room). Also a swell guy checked us in. I forgot his name but he never forgot mine. Excellent breakfast. The staff was great. I didn't need a ton of guidance but when I had questions (how to rent a boat, location of stores/restaurants, etc.) they were extremely helpful and happy to assist. Incredible space, nice architecture, pool, just everything is really beautiful and the staff is exceedingly helpful and professional. Every single thing. One of the best hotels we have ever stayed at. 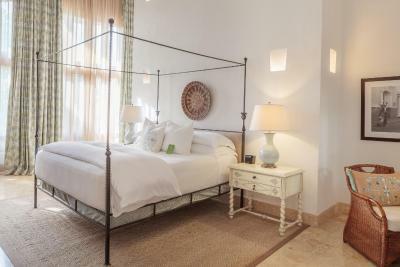 Absolutely stunning property, incredible food, romantic, great location, comfy beds, awesome aircondition, the suite was a wonderful size, the bathroom beautiful...the staff soo nice! This is an exceptional hotel through and though. 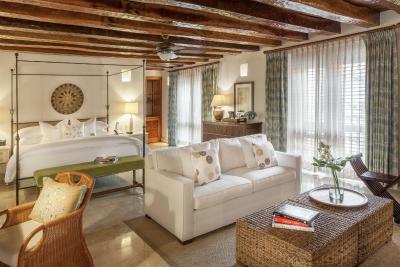 The design is classic, the service wonderful, and the rooms are extraordinarily comfortable. We really loved spending the morning and hot mid day at the hotel before venturing out for the afternoon. 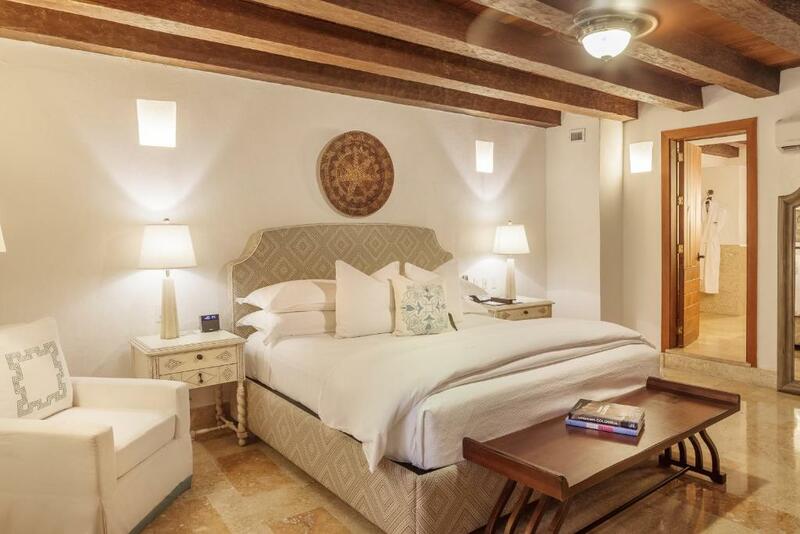 Hotel Casa San Agustin This rating is a reflection of how the property compares to the industry standard when it comes to price, facilities and services available. It's based on a self-evaluation by the property. Use this rating to help choose your stay! 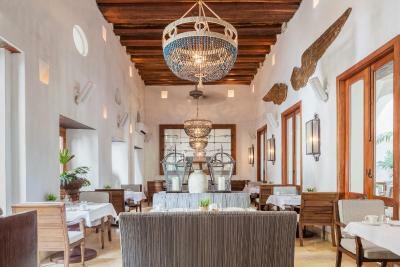 One of our top picks in Cartagena de Indias – and a guest favorite. 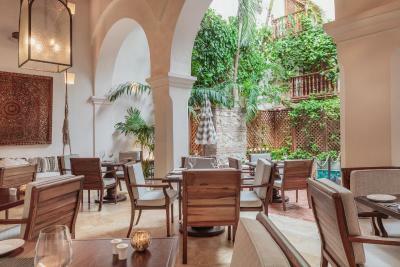 Featuring an outdoor swimming pool, a restaurant, and a terrace with a lounge, Hotel Casa San Agustin offers free WiFi and Continental breakfast in Cartagena de Indias. 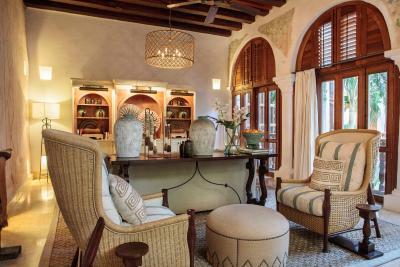 Set in a colonial house, the property offers a meeting room and a library. 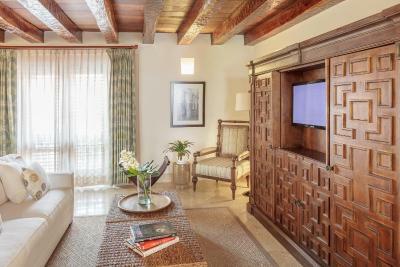 The rooms in Hotel Casa San Agustin are decorated in Colonial style, and feature an iPod docking station and LCD TV. Some rooms have views of the internal garden and others overlook the city's old streets. 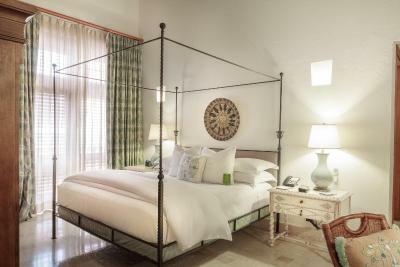 Luxury linens and room service are provided. Guests can relax in the solarium, in the game room, or in the pool bar. 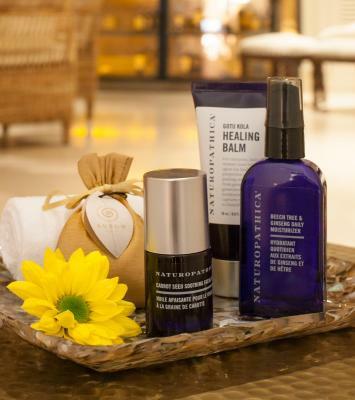 Massage sessions can be arranged upon request, as well as car and bicycle rentals. 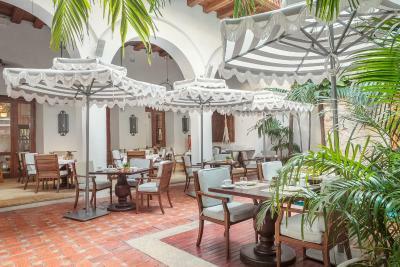 Hotel Casa San Agustin is 2,300 feet from Santo Domingo and San Diego parks. 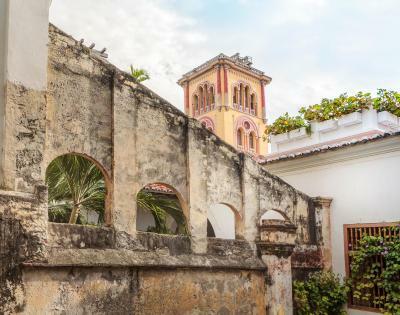 Bocagrande and the Castillo Grande beaches are 9.3 mi away and the Rosario islands are a 50-minute boat ride away. Rafael Nuñez International Airport is 6.2 mi away. Free private parking is possible at a location nearby, and reservation is needed. 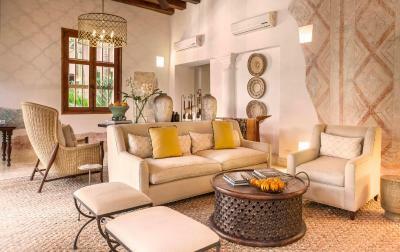 When would you like to stay at Hotel Casa San Agustin? 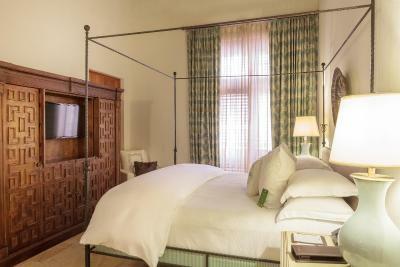 Deluxe Double Room Decorated in Colonial style, some of these rooms have balconies, others terraces, overlooking the internal garden or the city's old streets. It features one big double bed, iPod docking station and LCD TV. 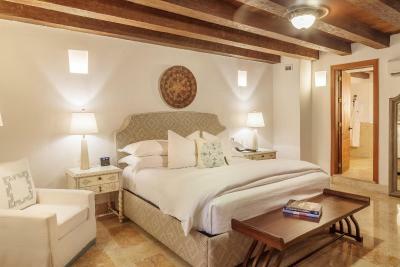 This double room includes a courtyard with outdoor jacuzzi and garden view. A seating area, one big double bed and iPod dock are featured. Room size may vary between 43 to 60 square yards. 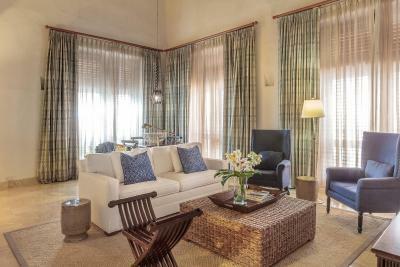 This suite features one big double bed and one double sofa bed, seating area and one private bathroom. Room size may vary between 79 and 93 square yards. 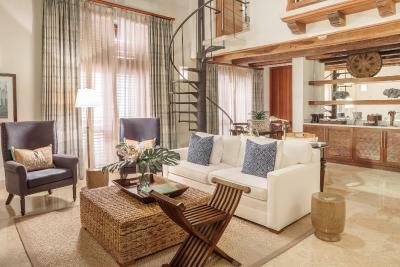 This two-story suite features a spacious seating area with one double sofa-bed, two bedrooms with one big double bed on each room and private bathroom. 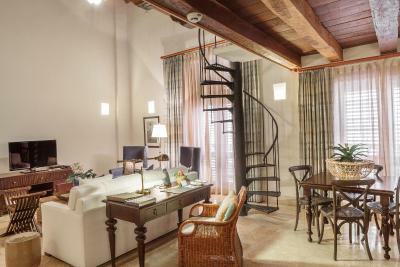 House Rules Hotel Casa San Agustin takes special requests – add in the next step! Any additional older children or adults are charged COP 290000 per night for extra beds. 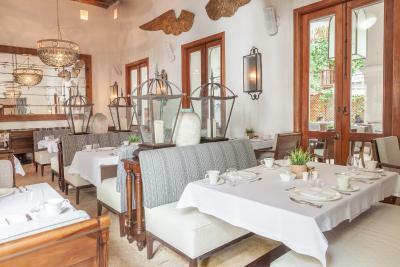 Hotel Casa San Agustin accepts these cards and reserves the right to temporarily hold an amount prior to arrival. 16% VAT applies. Tourists with Visa PIP-3, o PIP-5, o PIP-6, o PIP-10; or temporary Visas TP-7, o TP-11, o TP-12 are exempted. 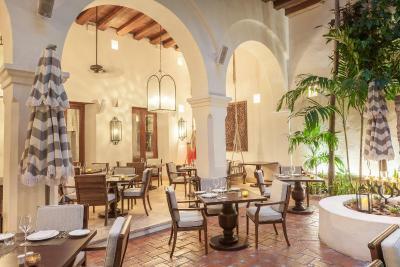 Please inform Hotel Casa San Agustin of your expected arrival time in advance. You can use the Special Requests box when booking, or contact the property directly using the contact details in your confirmation. Nothing. Everything was simply perfect! 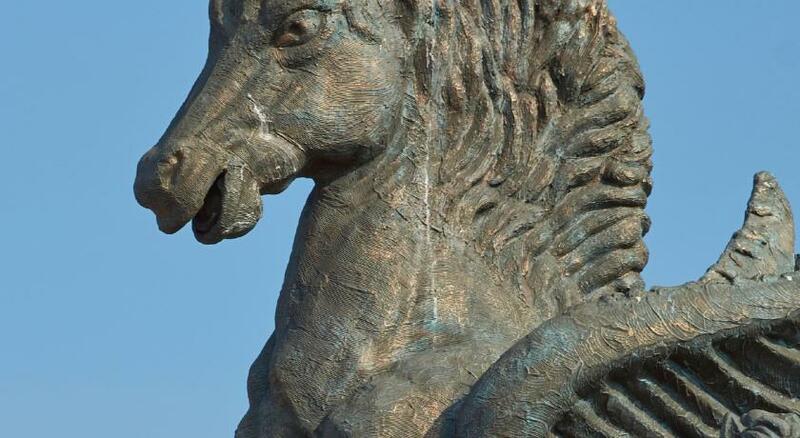 A suggestion to hotel management: While encouraging staff be enthusiastic, offering help to customers, please also emphasize that they should be authentic and avoid overpromise. One woman reception staff (seemed to be in charge) promised a lot, didn't deliver, and there was no follow up the next day (regarding to an inquiry on food tours). The temperature of the pool was a little too high. Very nice hotel with lots of little corners where you could sit and have a drink or the. Incredibly nice room and friendly, helpful staff. 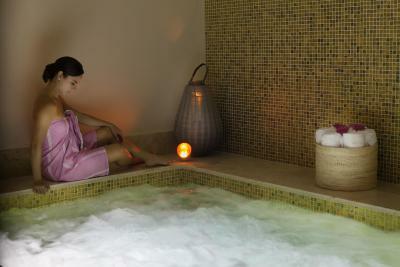 Unparalleled high quality and professional service, at par with the best hotels and resorts of the world. 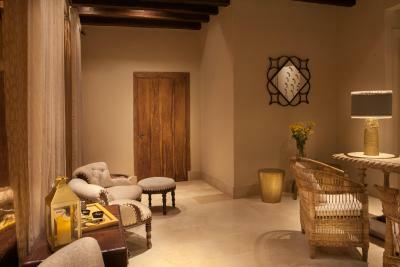 Facilities are exceptional good, with all rooms very well equipped and maintained. 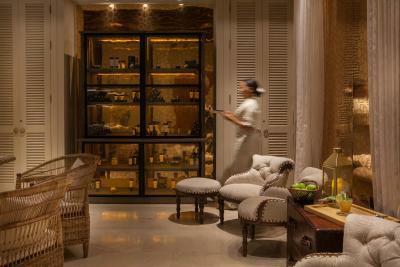 But the differentiating element is the quality and friendliness of all people, in every part of the hotel. 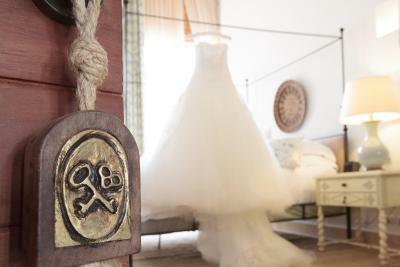 From the reception, to the restaurant, to the spa, room service, etc. everybody is looking for the opportunity to help you, in very discrete ways, without being intrusive. The excursions were great but the communication around them from the staff was a bit confusing. I wasn't sure if I was confirmed or not and the directions of what to expect, where to meet, what to bring was not explicitly mentioned. 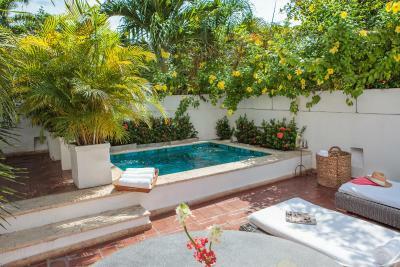 Great location in beautifully converted old houses with a small but stunning pool to escape the midday heat. Five star experience with extremely helpful staff. 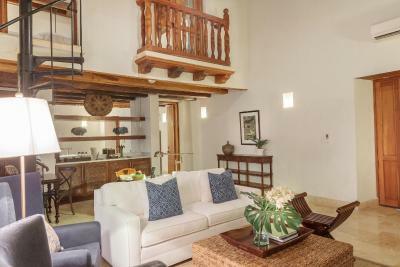 wonderfully rehabbed property in the center of the old historic city. There is nothing about this property that I didn’t like. I thought too much character had been scrubbed out of the place. 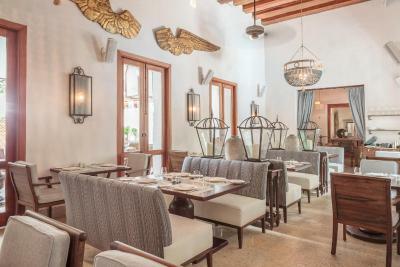 It seemed too shiny and new and corporate--neither old-school classic Caribbean nor bohemian chic. This place will appeal to bougie rich people who like it squeaky clean and super controlled. The staff was excellent, though. The windowless sitting room at the entry to our already dark bedroom was useless. The music at the pool and in the bar was tinny and too pop. (Why not have a DJ poolside or no music at all)? Excellent bed, friendly and hospitable staff, great location. Incredibly friendly staff, always ready to help, always with a smile. 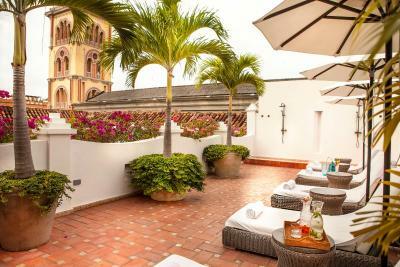 Perfect location, within walking distance of most interesting attractions in Cartagena. Excellent food.